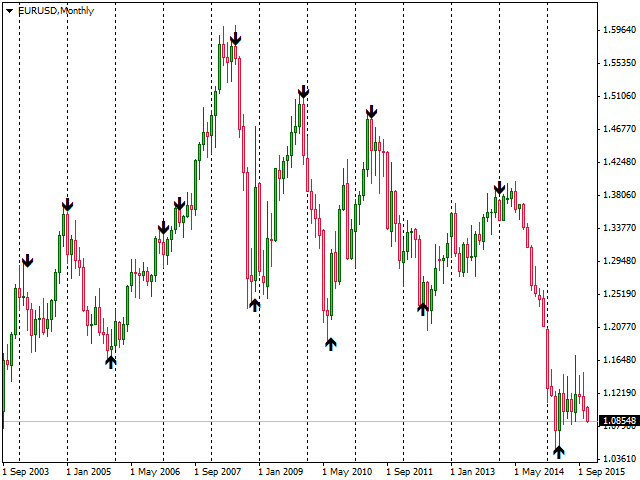 KM-Strength Arrow is similar to my first free indicator Strength Box. Strength Box is placed in a separate chart window and you take decisions according to its readings. 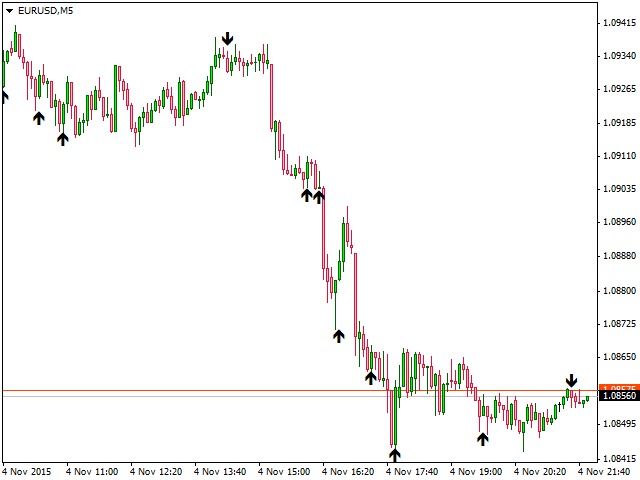 Strength Arrow is placed in chart window and applies arrows of reversal levels. 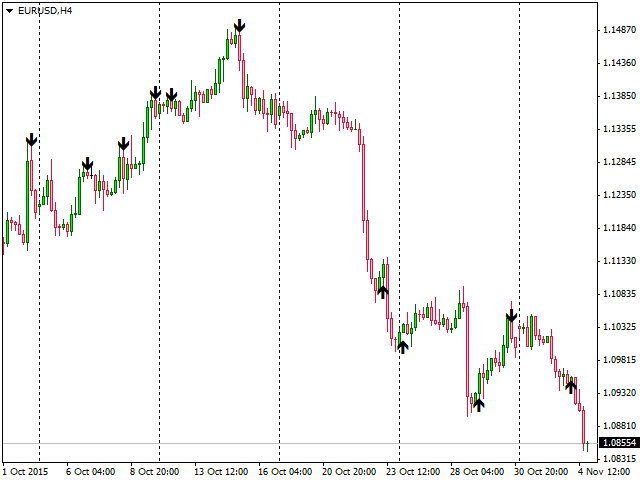 Take an advantage of Trailing Stop and close trades efficiently. 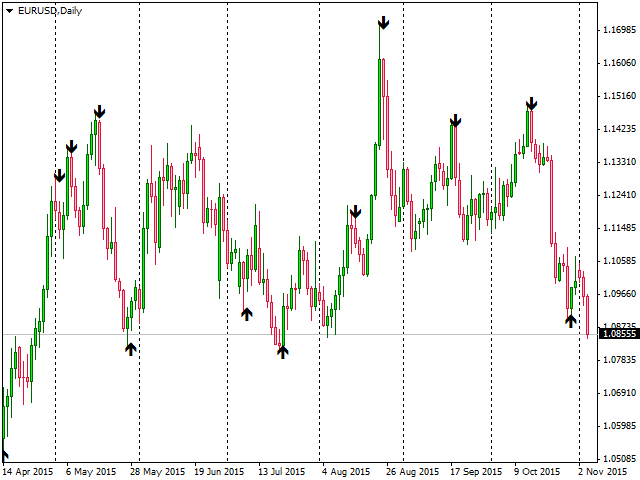 Higher timeframes are recommended. 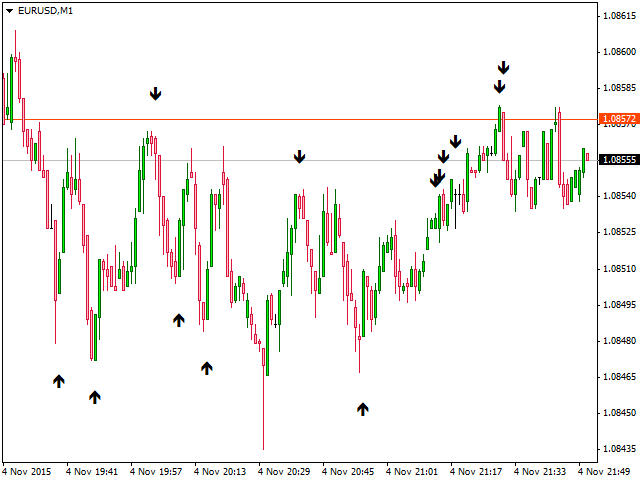 The indicator indicates buy or sell points based on Strength Box Period 5. Please see the screenshots for better understanding. 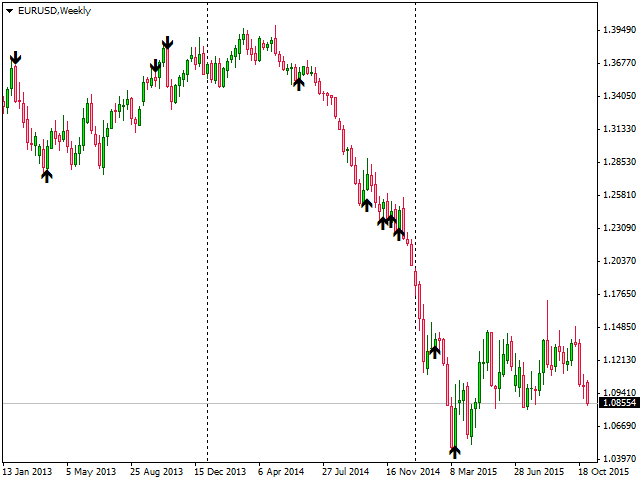 You can use it on any currency pair and any timeframe (results may vary). See the attachments. The indicator does not repaint. What are the levels of indications? 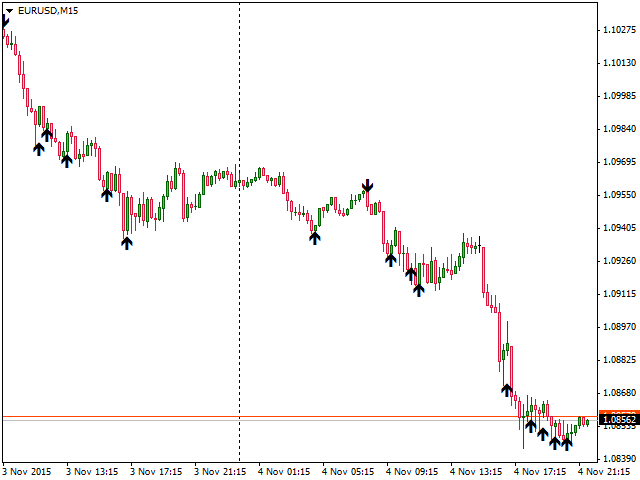 Examples of EURUSD M1, M5, M15, H1, H4, D1, W1, MN1 are given in the screenshots. Please take a look and have you any trouble, do not hesitate to contact me. Thank you. Very interesting. Will study it more. Great Indicator! Clean and simple. Very well done. 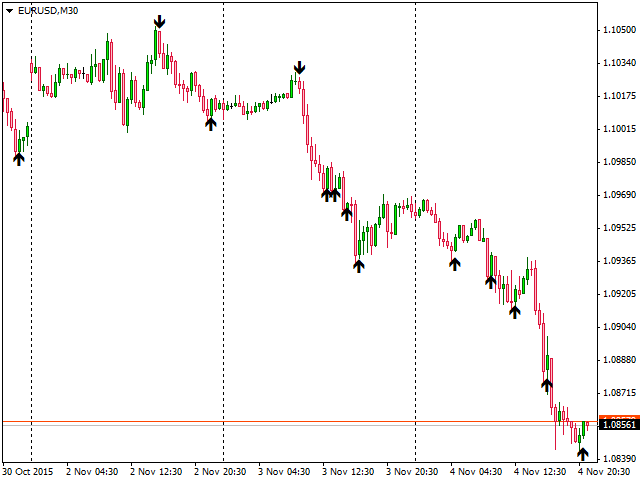 This adds a trusted extra confirmation to go along with any trading strategy, and can't beat the look of a single arrow. Much thanks to the developer for sharing this with the community! 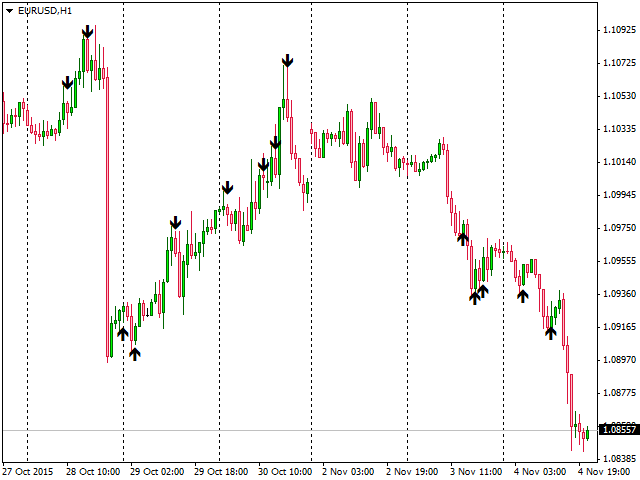 Useful arrow indicator in the higher timeframe.